A wise cook once told me foods that share a growing season, are foods that make the best flavour matches, using tomatoes and basil as her example. With this in mind, autumn is the optimum time to team fresh corn off the cob with plump sweet red capsicums in a savoury risotto cake. A great dish to prepare ahead and so versatile it can be served hot, cold or warm. It’s delicious served with quick roasted red pepper mayonnaise and a crisp leafy salad or a bowl of steamed greens. A variation on my recipe for Spinach Risotto Cake, I find that kids love to eat this even if they dislike conventional risotto in a bowl. Preheat the oven to 170C. Grease a 25cm round spring form pan and line it with baking paper. 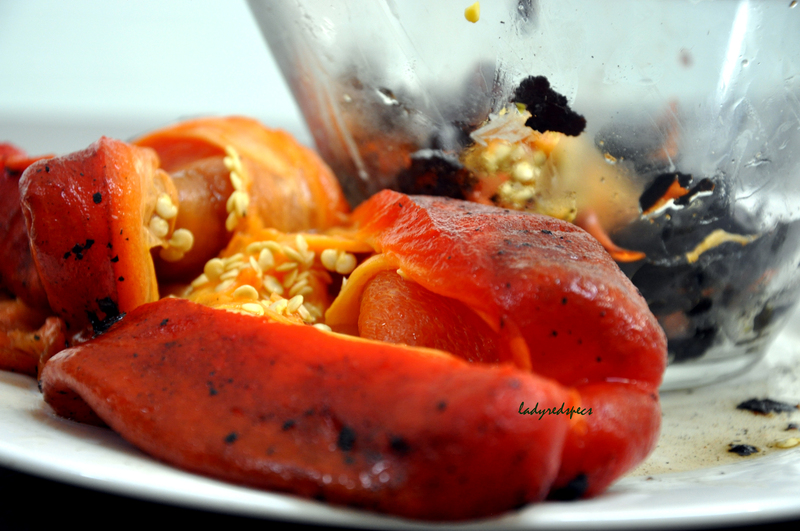 Place the red pepper directly over the gas jet to char the skin. When it is completely black, put it into a container that has a lid, seal the container and allow the pepper to steam. This will loosen the skin and make it easy to remove. When it is cool enough to handle, remove all the skin, seeds and membranes. Roughly chop the pepper flesh. Set aside in a large mixing bowl. Bring a large pot of water to the boil, add the cobs and corn and cook for 5 minutes. 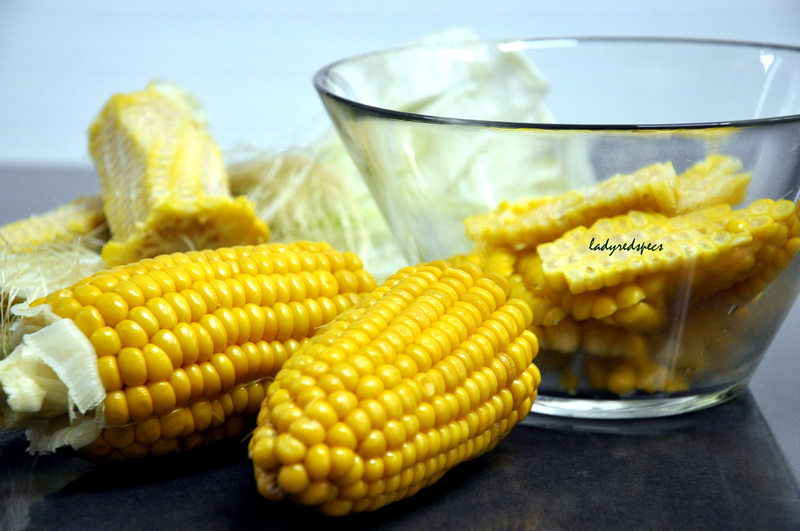 Remove the corn and refresh in cold water. Keep the corn cooking water boiling, then add the rice and boil for 10 minutes. Drain the rice, refresh under cold water then add to the rice to the bowl. Tip into the cake tin and using the back of a spoon pack the rice tightly into the tin and smooth the top. Sprinkle with the pine nuts and the extra feta cheese. Cover the tin with aluminium foil and bake for 30 minutes. Remove the foil then bake for a further 30 minutes or until firm to touch in the middle and lightly golden. Rest for 10 minutes before removing the sides of the tin. Either serve warm or chill. I’d never heard of rissotto cake before and love the idea – can only imagine how delicious this is. That it uses roasted red peppers and feta cheese serves to make it further alluringly tempting to make. Would love to try this sometime. I particularly like the idea that you can eat it warm or chill it and perhaps prepare it for the next day. Would it lose a bit in the translation if I left out the cheese? That first photo captured my attention and drew me in; I had to find out what it was! 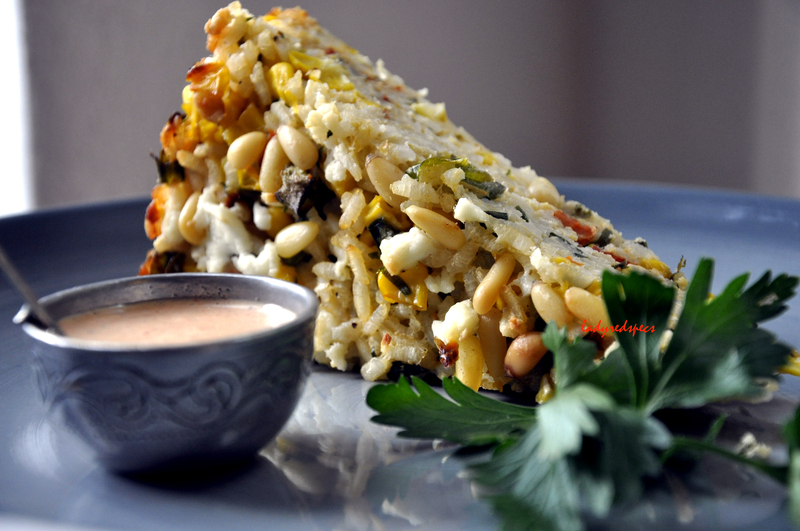 This risotto cake sounds delicious! great combo of flavors! looks de-lish! Wow, this looks yummy! 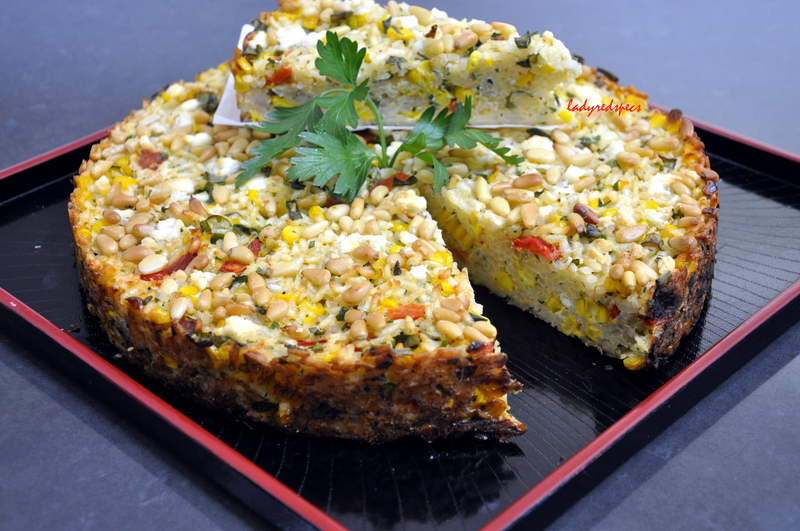 I love risotto, I love corn, I especially love roasted peppers, and Feta too… heck I LOVE everything about this savoury cake! On my “to make” list! Fantastic recipe. I love risotto, and I love corn and peppers. And putting it all in a cake looks simply delicious. Thanks, it IS a good one! Thanks Fae, it IS a good combo. Learning all the time with the photos, thanks for the compliment. I’ve never seen anything like this before; it looks delicious! I have a lot of Arborio rice left over from when I last made risotto, and I haven’t figured out how to use it. What a great idea! My pleasure! It’s true; I’ve found many of my ideas and new favorite recipes by perusing other blogs (and Pinterest, of course!). This entry was posted on April 2, 2013 by ladyredspecs in FODMAP diet, Food, Gluten Free, Light Savoury Dishes, Main Meals, Rice dishes, Vegetarian and tagged pinic, risotto, roasted red pepper, sweet corn.